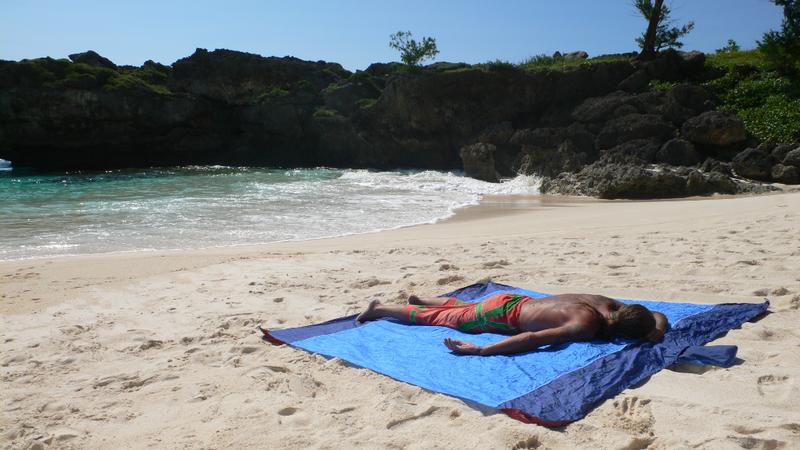 The TTTM Parachute Beach Blanket is truly multi-purpose. 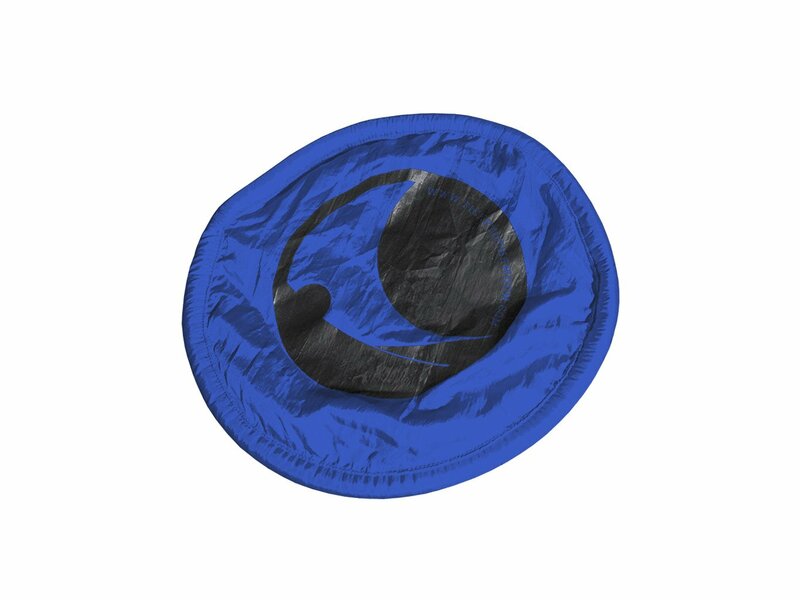 Ideal for the beach, camping, a concert or any other outdoor activity, this easy-to-carry sheet of sturdy parachute nylon protects you from whatever’s on the ground, and the pockets at each corner can be filled with sand or rocks so that the blanket will not fly away. You can also use it as a shield against the wind or sunlight by attaching ropes to the corner rings. 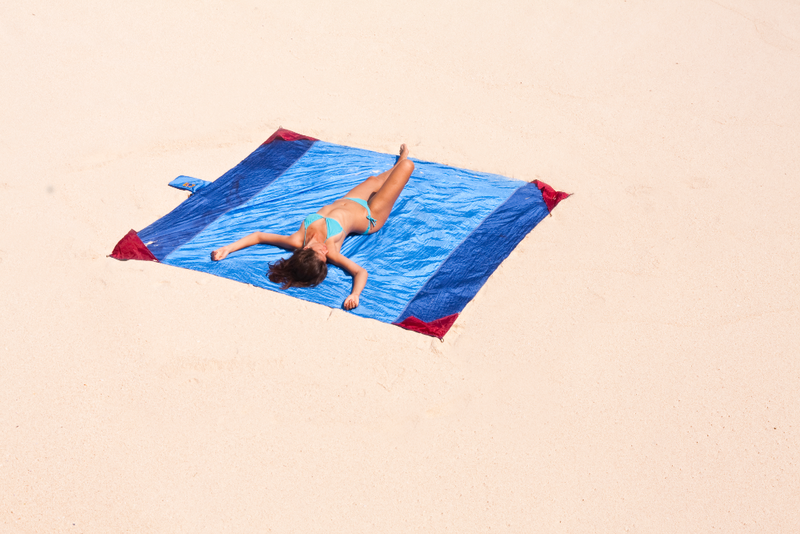 Delivered in a built-in stuff sack for easy transportation and safekeeping, the beach blanket dries quickly and is mildew-resistant. 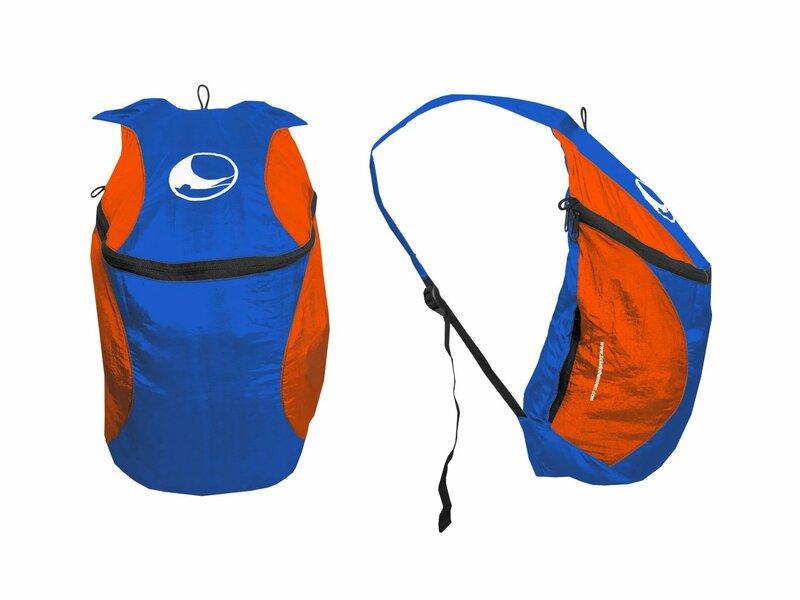 Pouch: 12 x 18 x 8 cm / 5" x 7" x 3"
10 years warranty against defects in workmanship and materials.